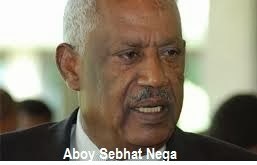 On his latest interview with Geza Tegaru Pal talk forum , TPLF former executive member and currently serving as a Head of Peace and Reconciliation Development , Aboy Sebhat Nega has indicated that some countries have deep interest to set up army headquarters inside Eritrea. Aboy Sebhat didn’t exactly mention who these countries are, but has given a signal that either USA or Israel or Saudi Arabia would like to go to Eritrea to set up their own central command in the capital . It is remembered that USA back then had its command in Asmera called QANEW SHALEKA .When the military regime took over power from the then king , the Americans must have withdrawn over their sour relationship with the latter. Click the link below, to listen the Aboy interview with GezaTegru discussion forum admin.